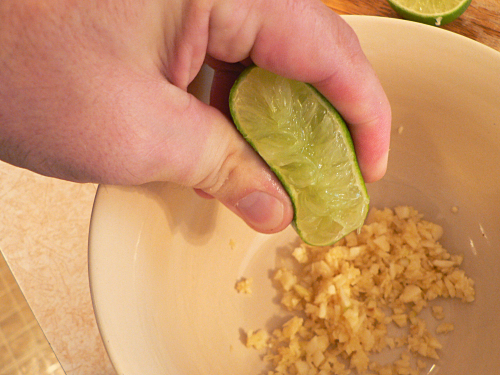 You can squeeze a lime really hard and leave half the juice still in it.The solution is as close as your silverware drawer. If you’ve got an electric juicer, go ahead and click “Back” on your browser now. You don’t need this tip. Still here? Okay. 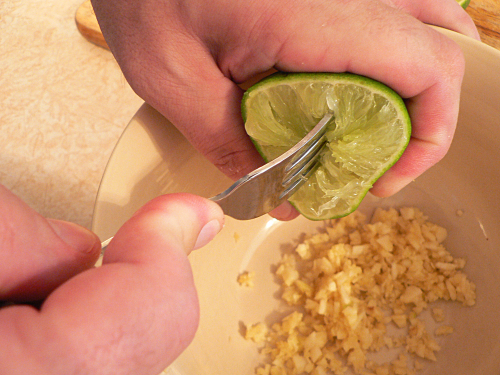 This works for lemons and oranges, too. Press down on the lime and roll it around. 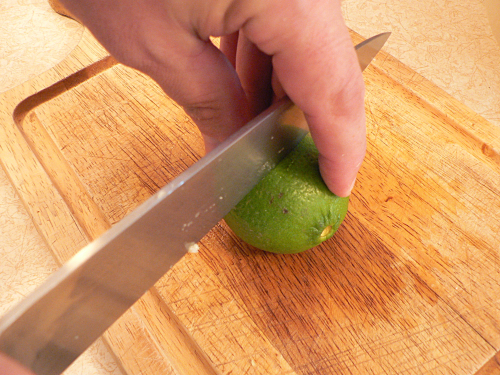 The more you soften it up before cutting it open the easier it will be to squeeze. Cut it in half, not through the stem. Squeeze hard. This is about how much juice you’ll get out of it. So get a fork. No special tools needed. 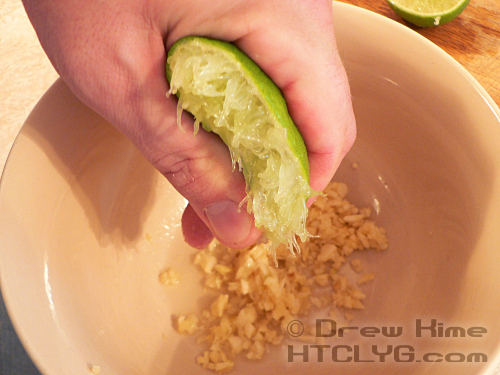 Jab it repeatedly into the lime. 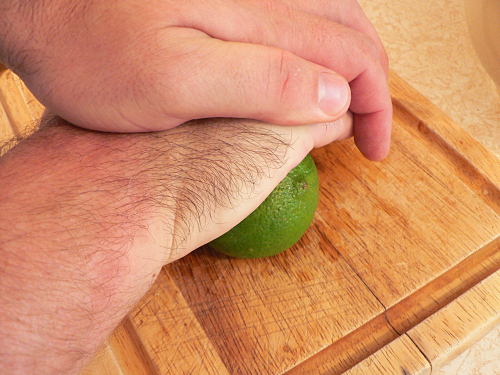 Then squeeze again. Notice how much more I was able to squeeze it here. And believe me, I squeezed as hard as I could the first time. The fork makes a huge difference. Maybe it’ll be easier to understand watching the whole thing. Now that I’ve done the tomatoes, the jalapeños and the lime, it’s time to assemble them all into a couple different dishes. Come back tomorrow for — as if you couldn’t guess — a little Mexican.